For both Wesenheit ab Wesenheit (2011) and WaWV (2014) Nicolai Worsaae found inspiration in poems by the German prisoner Jörg Meyer, who during the late 70s was in solitary confinement in a Danish prison. Worsaae’s father was prison chaplain and in this way met Meyer who was imprisoned for espionage for the GDR in Denmark. Min mund (My mouth) 0:56 6,40 kr. Isolation II (Isolation II) 2:20 6,40 kr. Kys (Kiss) 0:20 6,40 kr. Mørket (The dark) 1:33 6,40 kr. I sengen (In bed) 2:37 6,40 kr. Vestre (Vestre) 1:36 6,40 kr. Længsel (Longing) 3:23 6,40 kr. Kom (Come) 1:58 6,40 kr. Regn bag ved tremmer (Rain behind bars) 2:59 6,40 kr. Mandschauvinisme (Male chauvinism) 1:18 6,40 kr. Samtaler (Conversations) 4:04 6,40 kr. Isolationssygdom (Isolation disease) 1:59 6,40 kr. Griets træ (Griet’s tree) 10:30 12,80 kr. (From Conversations, WaWV. Sounds: reading aloud, woman’s scream, blows on metal, glissando strings, radio crackling, trills on wind instruments, short sharp puffs, frail clarinet note, the sound of stroked glass). The precise description of a scene in a very small world is that of the author Jörg Meyer and the composer Nicolai Worsaae in the piece Samtaler (Conversations) from the work WaWV (Wesenheit ab Wesenheit Vollendet). Meyer, a young, East German prisoner in Vestre Fængsel in Copenhagen, convicted for spying for the German Democratic Republic, wrote during a solitary confinement lasting nine months in 1979 a series of poems that were published under the title Isolationsdigte (Isolation Poems). The poems functioned as a kind of self-therapy for the violent mental strain he experienced in his cell – only person Meyer conversed with was the prison chaplain Jørgen Worsaae, the composer’s father. It is this story the chaplain’s son, Nicolai, had with him when, just over 30 years later, he started to compose the first work Wesenheit ab Wesenheit from 2011 for soprano, voice and chamber ensemble as well as the later sister work WaWV from 2014, in which Meyer’s own recitation is mixed with instruments, concrete electronic sounds, and a song voice. In total, Worsaae uses 13 short poems and not such a great many different sounds to create a musical universe able to express what it is like to be in solitary confinement, as he himself has formulated it. The 13 poems deal with longing, loneliness, nightmares, pain, and insanity, and if one did not know better, the texts might well seem to be old-fashioned, rather banal romantic poems with an I and a you with a distance between them. But the poems also name a long list of concrete objects that acquire a strange sort of life together with the poet, because he is completely alone. And the objects also appear in the music with their own concrete sounds. It might sound amusing, but actually, it is not. Worsaae has often cultivated irony and the humorously staged as a way of dealing with the extremely self-important aura that often surrounds avant-garde music. For example, in his work in the DYGONG group of composers, which had its last concert shortly after Worsaae had his debut on leaving the Royal Danish Academy of Music Copenhagen in 2010, and in the orchestral work Eight and a Half Pint from 2013. But there is no irony on this album. Instead, he cultivates his fascination with the dark, the brutal and the metallic when combined with the poetic. With a boyhood and youth in close consonance with classical music as a member of the Copenhagen Royal Chapel Choir, the poetic and the melodious belong to using one’s singing voice in music. So that is also the case here: poetry, brutality, concrete sounds, and noise. 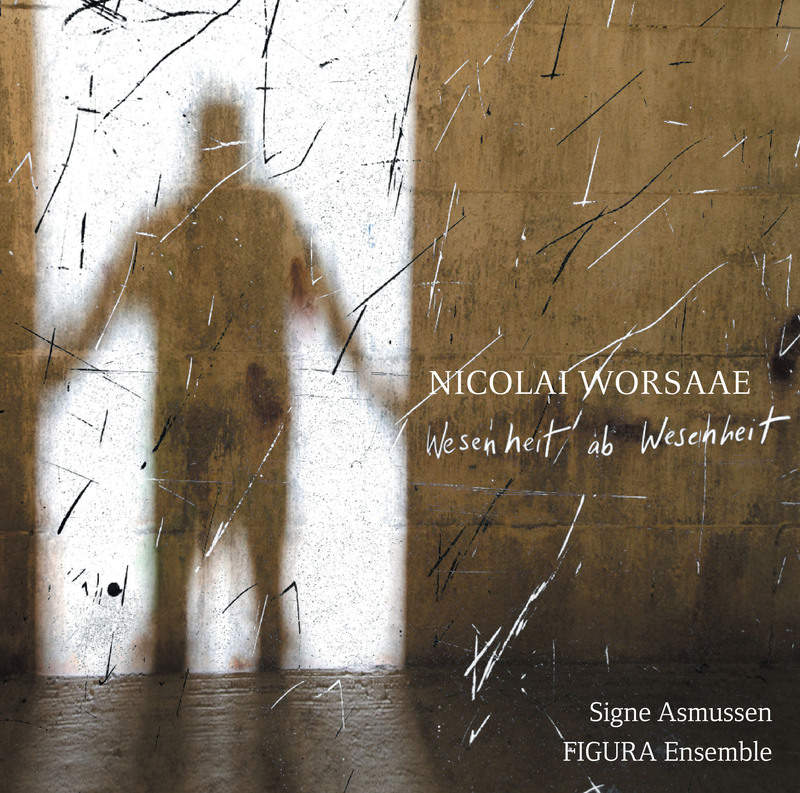 As in many of Nicolai Worsaae’s other works, the music on the album also revolves around something political. Clearly, the works are a criticism of solitary confinement and the fact that ‘one doesn’t have to sit very long in solitary confinement before one loses oneself,’ as he expresses it. But more covertly he uses, for example, excerpts from The Communist Manifestoby Marx and Engels at the end of WaWV, i.e. passages which he still finds relevant today – the dictatorship of the proletariat and the development of the means of production “where it is still true that the workers are disregarded when the means of production are developed”, as he puts it. The four lines end the last poem on the album, Griet’s tree, in which madness in its pure green shade of sound has become total. Here a C major chord flows in and out of the sound-picture, while it alternates between being in and out of tune: “The chord is like a state. After having been in isolation for a long while, one goes mad,” as Worsaae formulates it.